On 11 December of this year, five Indian states held assembly elections and their results are certainly noteworthy. Especially in light of the upcoming general elections to the lower house of the Indian Parliament, a key event in the nation’s political life, to be held in spring of next year. The previous general election, held in spring 2014, resulted in a crushing defeat for the coalition headed by the oldest party in the country, the Indian National Congress (INC), and a triumphant win for the coalition led by the Bharatiya Janata Party (BJP). INC’s defeat seemed so complete that the author of this article was left with the impression, at the time, that it signaled the end to the fairly significant body of work accomplished by this party, which, over a number of decades, fought for India’s independence (since 1947) and led the country during most years of its autonomous existence as a nation-state. 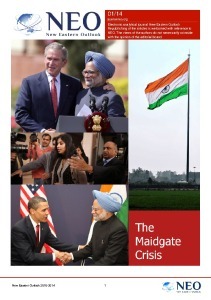 All the events, connected to India’s internal political life, that followed only strengthened this impression. Aside from the immutable and convincing victory of the “saffron followers” (the color of the BJP), led by a charismatic leader and the current Prime Minister of the nation Narendra Modi, these events included the conclusion of assembly elections, which were held in several states since the win. By May of this year, the INC had retained its majority only in three (out of 29) states in the country. It is appropriate to note here that the issue of INC’s ability to transform itself with the changes, which have been taking place in India during its entire period of independence, arose gradually. Even by the end of the 1970s signs had appeared indicating that the INC was unable to keep up with the transformation process taking place in the nation, “patched together” using hundreds of semi-governmental “parts”. The country’s overall identity still reflects the wide variety of cultures and religious beliefs it inherited. During the period from June 1975 to March 1977, the leadership of the INC, headed by Indira Gandhi, was forced to introduce martial law in the nation to ensure the situation in the country did not spiral out of control. Nowadays, Indira Gandhi’s decision to use force to suppress the Sikh separatist movement and to stage a bloody siege of their main temple in Amritsar in summer of 1984 is viewed as a strategic mistake. By the end of the same year, 1984, she had been assassinated by her own Sikh body guards. The son of Indira Gandhi, Rajiv Gandhi, who was the nation’s Prime Minister from 1984 to 1989, became a victim of an attack by a member of another separatist movement (the Tamil one) in 1991. As the problems of the secular INC worsened, the more “religiously inclined” BJP, whose ideology has its origins in the so-called Hindutva, began to strengthen its position. This is an artificial, ideological construct (reminiscent of those stemming from various quests for “national ideas”) from the beginning of the 20th century, which even the Supreme Court of India refused to define. Hindutva is practiced (in various ways) by several nationalist movements, whose offshoot, in fact, happens to be the BJP. The importance of Hindutva in modern India (with 35-40 % of the population referring to themselves as its supporters) stems from, seemingly, not its positive nature (mainly, in the sphere of ethics in daily life), but from the uniquely identifiable differences associated with it. Supporters of Hindutva are not (first and foremost) Muslim, since the complicated relationship with this religious group is one of India’s key challenges affecting its domestic stability and the structure of its relations with Islamic Pakistan. Since the 1990s, the INC has been accused of having a pro-Muslim stance and a lack of respect for Hindutva. However, we may also suppose that the party’s devastating defeat in 2014 and its losses in state assembly elections that followed stem from earthly economic factors. The BJP won not (so much) by employing Hindutva rhetoric but instead by helping the population to resolve pressing real issues. The leader of the party happened to be an experienced, charismatic politician, Narendra Modi, who did a commendable job in the post of the Chief Minister in the state of Gujarat (ranking 10th in population size and number 1 in terms of economic development), to which he had been re-elected 4 times in a row, starting in 2001. It is also worth mentioning that Narendra Modi’s role in the so-called Gujarat pogrom in 2002 remains unclear, which has left a dark stain on his reputation. One way or another, when the time for the general elections came in 2014, the INC, with its host of problems, had no viable candidate to take on Narendra Modi. At the time, Rahul Gandhi (Indira’s grandson and Rajiv’s son), who only became the INC President in December 2017, had been incapable of competing against the current Prime Minister. In addition, his subsequent actions as the party leader were probably more counterproductive in nature. The fact that, in the case of this descendent of famous Indian politicians, genes do actually play their part is supported by the (pretty surprising) results of the latest assembly elections in 5 states. The INC has won decisively in three of them. These states are Rajasthan (ranking 1st in terms of area and 8th in population size), Madhya Pradesh (with the 6th largest population) and Chhattisgarh (statistically average in all these regards). However, the INC lost the elections in the smallest state of Mizoram and the state of Telangana (also average in size and population). Still, the INC’s main rival (i.e. the BJP) was not victorious in these two states, instead local parties won in the elections. It is worth reminding our readers that the results of the assembly elections in the state of Karnataka (one of the leaders, in terms of economic development and population size), held on 12 May of this year, had already demonstrated that it was too early to speak about the hopelessness of INC’s position and of its current leader. But, we reiterate that no one had expected such talk to be so far from reality. 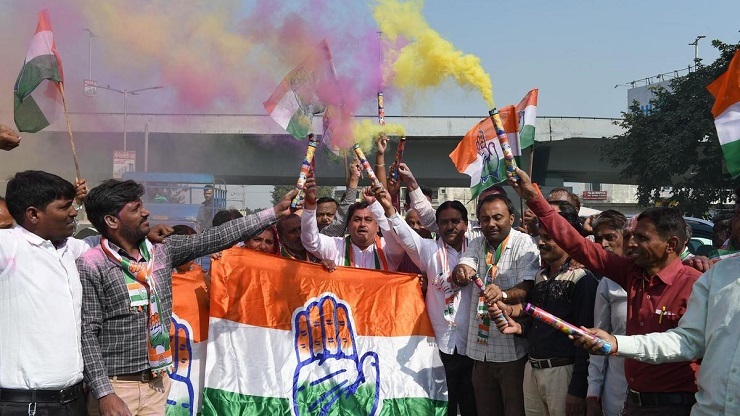 The emphasis in the first reports about the results of the recently held elections is on the fact that all three states, where the INC won convincingly, are viewed as the stronghold for the supporters of Hindutva. Hence, it is tempting to conclude that any and every party’s position towards Hindutva has absolutely no bearing on the preferences of the electorate. In vain did nationalist organizations stir up support for the “reconstruction” of the temple of Rama in Ayodhya, an issue discussed in the New Eastern Outlook earlier. After all, quite an uproar about this was created before the elections. A circulating meme, “Before elections Ram Ram, after that only araam”, was aimed at all the branches of the government and Narendra Modi personally. In the end, were the acts of thousand-strong monks marching to Ayodhya, and of renaming the “incorrectly called” Faizabad district and the city and division of Allahabad (founded, incidentally, by the Great Moguls) all in vain? It seems that such events will not be the last displays of activism by the Hindutva state-mongers. Not only Russia’s “independent” neighbor, but also more serious nation states have witnessed outbreaks of “ethnic” paranoia. As far as the previously posed question is concerned, the author’s answer is probably more positive rather than negative. As is the case everywhere, the so-called real (“earthly”) problems are much more significant for the Indian masses. Nevertheless, it is worth mentioning that lately the INC leader, Rahul Gandhi, has often been spotted in Hindu temples, performing traditional ceremonies. 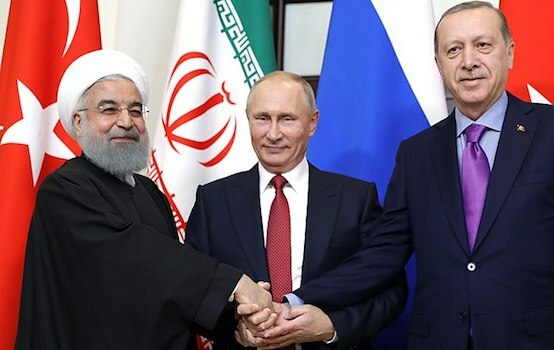 The party leadership was, thus, quick to dispel any accusations, levelled against their leader, that these visits were “some sort of cynical opportunism” before the election. Still, we would like to reiterate that the active role the INC party has played in addressing earthly issues, mentioned earlier, is the key to its current success (as is the case with the BJP triumph). For instance, during his campaign tour to the state of Madhya Pradesh, at a meeting in Bhopal Rahul Ghandi promised local farmers that if the INC emerged victorious, it would waive all of their loans taken out to pay for the latest rice harvest. This, by the way, encouraged agricultural workers (and, admittedly, farmers from any other country in similar situations) to hold onto their harvests (in this case, unprocessed rice called paddy). And, really, what is the rush now? Since borrowed money does not have to be paid back, it is now possible to wait for “appropriate” rice prices on the market. Hopefully, there will be no need for “food requisition detachments” in India. It seems that the gradually popularized theme of corruption (trending in the world today), did not just play a marginal role in the BJP losses in the latest round of elections. We are referring here to the way Narendra Modi’s government completed the tender process for replacing its fleet of air force fighter planes in 2014. As is typical for India, the long (10-year) story of the previously mentioned tender came to its conclusion in 2014, with the deal to purchase 36 Rafale fighter aircraft from the French company Dassault. And according to the latest data, the Indian Navy is refusing to use them, because of their cost (they are overpriced by a wide margin) and the lack of clarity associated with their maintenance / support. If only some of the information published by the media on this issue turns out to be true, the scandal that awaits us will be huge, with “top names” from not only India but France cast into the limelight. As the importance of this issue may be assessed not so much in monetary terms, but in terms of ensuring national security. While dealing with this thorny topic at the latest Indian Parliament session, the opposing sides have already resorted to physical violence. In the meantime, the INC leader, fueled by electoral success, has locked his “jaws” around this issue. During a press conference, dedicated to the results of the election, he reminded those present of a hunter who had picked up the blood trail. And this trail may very well lead to a victory at the upcoming general elections. It is unclear how even the god Rama could help the BJP in this scenario.